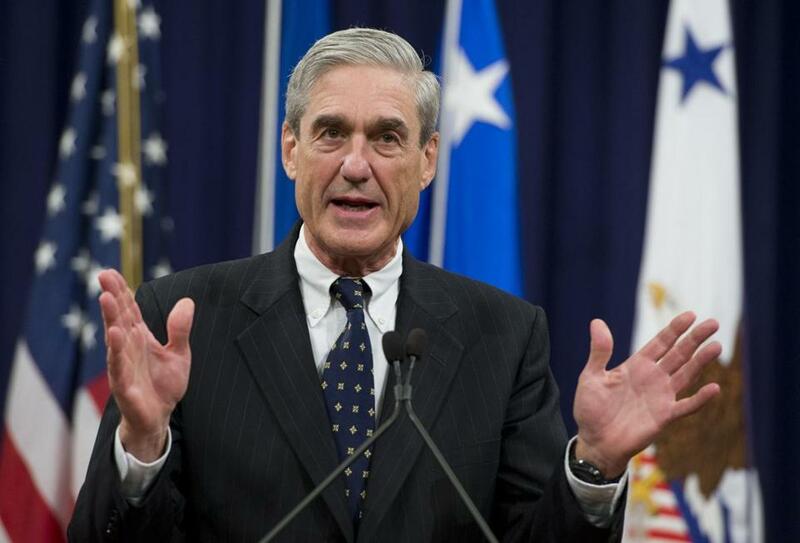 Robert Mueller was a target of a Russian disinformation campaign, according to a new report. Months after President Donald Trump took office, Russia’s disinformation teams trained their sights on a new target: special counsel Robert Mueller III. Having worked to help get Trump into the White House, they now worked to neutralize the biggest threat to his staying there. Such tactics exemplified how Russian teams ranged nimbly across social media platforms in a shrewd online influence operation aimed squarely at American voters. The effort started earlier than commonly understood and lasted longer while relying on the strengths of different sites to manipulate distinct slices of the electorate, according to a pair of comprehensive new reports prepared for the Senate Intelligence Committee and released Monday. One of the reports, written by Oxford University’s Computational Propaganda Project and network analysis firm Graphika, became public when The Washington Post obtained it and published its highlights Sunday. The other report was by social media research firm New Knowledge, Columbia University and Canfield Research. Together the reports describe the Russian campaign with sweep and detail not before available. The researchers analyzed more than 10 million posts and messages on every major social media platform to understand how the Russians used American technology to build a sprawling online disinformation machine, with each piece playing a designated role while supporting the others with links and other connections. The reports also underscore the difficulty of defeating Russian disinformation as operatives moved easily from platform to platform, making the process of detecting and deleting misleading posts impossible for any company on its own to manage. Twitter hit political and journalistic elites. Facebook and its advertising targeting tools divided the electorate into demographic and ideological segments ripe for manipulation, with particular focus on energizing conservatives and suppressing African-Americans, who traditionally are more likely to vote for Democrats. YouTube provided a free online library of more than 1,100 disinformation videos. PayPal helped raise money and move politically themed merchandise designed by the Russian teams, such as ‘‘I SUPPORT AMERICAN LAW ENFORCEMENT’’ T-shirts. Tumblr, Medium, Vine, Reddit and various websites also played roles. ‘‘We hope that these reports provide clarity for the American people and policymakers alike, and make clear the sweeping scope of the operation and the long game being played,’’ said Renee DiResta, research director at New Knowledge. Social media researchers said the weaponization of these sites and services highlights the broadening challenge they face in combating the increasingly sophisticated tactics of Russia and other foreign malefactors online. One unexpected star of the new reports Monday was Facebook’s photo-sharing subsidiary Instagram. Over the years of the disinformation campaign, Instagram generated responses on a scale beyond any of the others - with 187 million comments, likes and other user reactions, more than Twitter and Facebook combined. But it had been the least scrutinized of the major platforms before this week as lawmakers, researchers and journalists focused more heavily on Facebook, Twitter and Google. Instagram’s use by the Russians more than doubled in the first six months after Trump’s election, the researchers found. It also offered access to a younger demographic and provided easy likes in a simple, engaging format. ‘‘Instagram’s appeal is that’s where the kids are, and that seems to be where the Russians went,’’ said Philip Howard, head of the Oxford research group. The report anchored by New Knowledge found that the Russians posted on Instagram 116,000 times, nearly double the number of times they did on Facebook, as documented in the report. The most popular posts praised African-American culture and achievement, but the Russians also targeted this community for voter suppression messages on multiple platforms, urging boycotts of the election or spreading false information on how to vote. On Monday, the National Association for the Advancement of Colored People called for a weeklong boycott of Facebook starting Tuesday, saying the company’s business practices - and the spread of ‘‘disingenuous portrayals of the African-American community’’ on its site - should prompt further congressional investigation. The emergence of Mueller as a significant target also highlights the adaptability of the Russian campaign. He was appointed in May 2017 as special counsel to investigate allegations of Russian influence on the Trump campaign. In that role, he has indicted the St. Petersburg-based Internet Research Agency, the Kremlin-linked troll farm behind the disinformation campaign, and others affiliated with the disinformation campaign on criminal charges. At one point, shortly after the 2016 election, the Russian operatives also began to make fun of Facebook CEO Mark Zuckerberg for saying social media didn’t have an impact on Trump’s victory - a claim for which he later apologized. On Capitol Hill, top Democrats said Monday that the revelations in the pair of Senate reports underscored the need to study social media and consider fresh regulation in order to stop Russia and other foreign actors from manipulating American democracy in future elections. ‘‘I think all the platforms remain keenly vulnerable, and I don’t have the confidence yet companies have invested the resources and people power necessary to deal with the scope of the problem,’’ said Rep. Adam Schiff, D-Calif., the incoming chairman of the House Intelligence Committee. Every other GOP lawmaker on the Senate Intelligence Committee declined to comment or didn’t respond. Facebook executives barely discussed the role of Instagram when they testified before Congress late last year about Russian meddling. At the time, the company said the Russian campaign reached 126 million people on Facebook and 20 million on Instagram.